Docker is a software system for sysadmins and developers to design, ship, and manage distributed applications. It comprises of docker engine, a docker, packaging tool and lightweight runtime, a cloud service for automating workflows and application sharing, and a portable. Docker facilitates quick assembly of apps from components while harmonizing development, production environments, and QA. This way, IT can run the same application and ship faster, consistently on any cloud, data center, and laptops. As automation becomes more critical in software development, having adequate Docker knowledge and experience can help you scale in your career in 2019. According to statistics and figures, individuals with these skills earn more than their counterparts in the public sector in the US. Their annual salaries are approximately over $100,000. This explains why you should make learning Docker a priority in 2019 and propel your career to the next level. 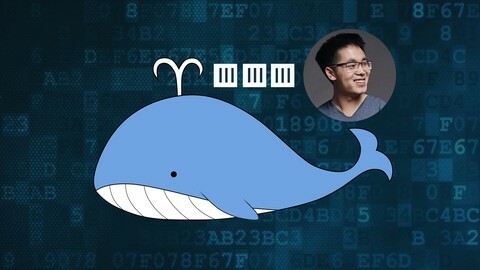 The following list of 7 Best Docker Courses available online for 2019 will help you learn Docker from scratch. They are appropriate for all learners regardless of their level of Docker understanding. This course targets sysadmins, software developers, operators, and IT professionals of different skill levels. You can also undertake the course if you specialize in building, operating, or deploying software on servers. It will give you an opportunity to develop, design, and upgrade Docker containers to Development Operations(DevOps) from development Swarm clusters. The Docker mastery course prepares you for the future of Dockerization while helping you to execute software development and deployment in containers with ease. Further, you will be able to utilize Docker end-to-end from evolution to testing, to production and redistribution. Bret Fisher a DevOps consultant and Docker Captain is behind the creation of this course. Specially designed course for all learners from beginner level, intermediate, and experts. A diverse collection of topics covering every Docker section from the basics to the most complex areas. A private slack chat group comes in handy for a detailed explanation and help both from the instructor and fellow learners, during and beyond the course. Do you want to know how Docker technology works? Are you interested in understanding its application in the field today? Are you a QA, developer, or DevOps professional eager to enhance your skills in order to scale your career? If the answer to any of these questions is yes, then this course is designed for you. Master the essential factors of Docker software and gain comprehensive knowledge on using Docker software to develop and deploy advanced applications. Eventually, you will be conversant with Docker software and gain DevOps skills to help you administer the correct docker workflow and deliver the ultimate software continuously. You will learn how to use Dockerfile to stack and automate a web-based app using microservice approach. 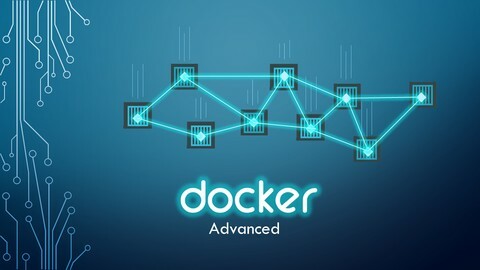 An ideal course complete with a passionate and committed instructor who gives you both theory and real-time examples for a better understanding of the development of Docker applications you can execute on your own. You can access the comprehensive source code on Github using your Linux, Mac Os, or even windows. Learn how to utilize Compose Scale Docker with Docker Swarm to outline multiple container applications and workflow automation. Further, you will be able to manage and set up a large scale app over multiple hosts in the cloud. The instructor ensures you are confident and knowledgeable enough to use the correct Docker development workflow in order to deliver great software repeatedly. This course is designed for software engineers who are eager to redistribute their applications rapidly and with ease. It will help you master the skills you require to deploy all web applications. Docker and Kubernetes are a modern and advanced technology the development operations industry. They have transformed how web applications are created and redistributed. Applications on Docker technology can run in containers while a variety of containers run in coordination on Kubernetes. 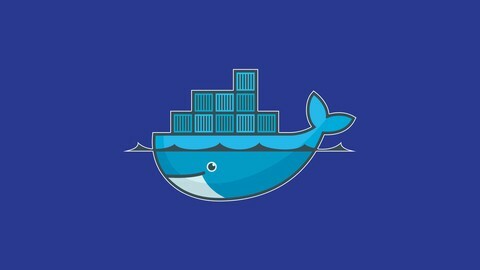 This course is for you if you want to understand what Docker is and how to utilize it. 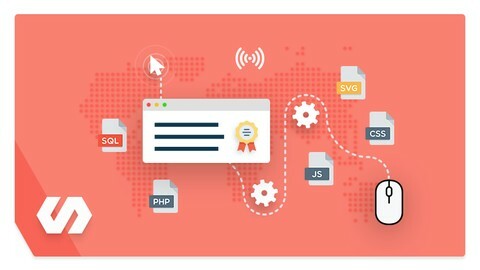 You can also enroll for this course if you want to; use an automated strategy to set up a web application, self-host your web apps in a bid to save money, or enhance your mastery of DevOps in order to propel your career to the next level. In the end, you will have comprehensive knowledge of Docker and posses overall DevOps skills required to jump-start a career. Nick Janetakis created this course to give you an opportunity to move from being a Docker novice to a DevOps veteran in only 7 hours. Get basic knowledge about preparing your environment for deployment of Docker on Mac, Windows, or Linux. Get hands-on experience by Dockerizing a ruby on rails or flask applications and understand how to utilize the aforementioned frameworks to develop a production ready app. If you are a developer, cloud infrastructure engineer, or system administrator with basic knowledge of system administration, you can enroll in this course. Having a Linux system will be an added advantage. 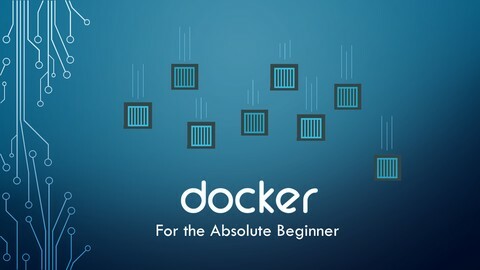 The instructor will use easy terminologies to help you master the introduction stages of Docker. Apart from the theory, there are live demonstrations to help you understand how to set up and launch Docker. Leverage on the coding exercises to improve your understanding of Docker command and learn how to utilize Dockerfiles to develop your own images. Use them to familiarize yourself with Docker Compose. System admins, IT professionals, software developers, and DevOps Engineers with basic knowledge in creating Docker images, Docker, Docker Compose, and managing Docker containers will benefit from this course. It is structured to help them learn advanced ideas in Docker through the use of easy and well-explained lectures with the help of animated slides. The instructor will take the learners through a session of theory, followed by demonstrations, and followed by coding exercises. Leverage on real-time coding exercises and lectures to evaluate Docker ideas and understand services and swarm in development operations. Learn how to utilize Docker Stacks, Docker Service, and Docker compose to develop your own application stack. Learn the integration of CI/CD pipeline with Docker and its support both on cloud and public based platforms. 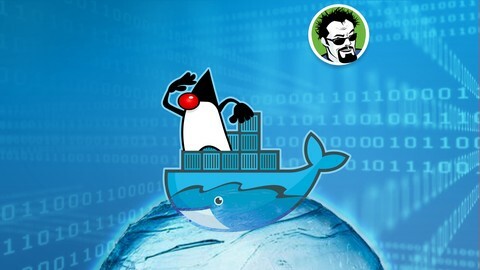 Are you a Java developer interested in learning Docker, this course is designed for you if you have a basic understanding of Java programming, local administrator access for Docker installation, and basic Linux skills. Spring knowledge will be an added advantage though it is not mandatory. The instructor will teach you how to enhance your enterprise Java development using Docker. Leverage on Docker for efficient enterprise development. Leverage on the Slack group where you can interact with your instructor, other Docker students from various parts of the world, and teacher assistants to get help or offer help to others. 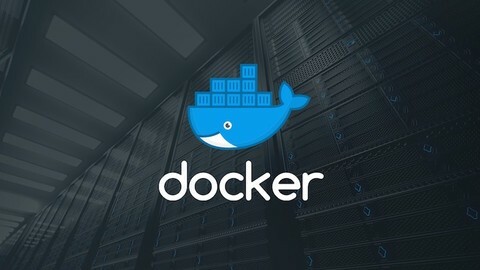 In case you are not willing to pay the money to have a complete course then there are some basic docker courses that you can follow to enter into Docker world. If you want to have the complete picture then paid ones to offer everything. This course it is a basic one and it is offering 2 hours off the content of how you can install it and perform some basic stuff like network, volums, etc. Another greate source is YouTube and you can lavrage it for free. Just search what Docker information you need and for sure you will find something. Automation continues to transform the industry and many organizations are searching for skilled individuals, capable of helping them scale. Having adequate Docker knowledge will give you an edge over your competitors. If you are a beginner, enrolling in one of the above-mentioned courses will help you gain the knowledge you need to launch your career.